The words powerful and exciting do not begin to desribe the feelings and emotions present at the 2017 ESF Triathlon. 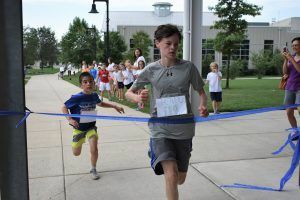 The Triathlon campers exhibited determination and tenacity during their triathlon competition today.  They had a crowd of campers and ESF staff cheering them on the whole way. 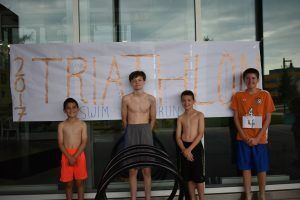 The four campers have been preparing for this event all week practicing biking, running and swimming for about an hour each day with breaks inbetween. Triathlon teacher Kristina Mulholland said that during the biking portion they focused on gear shifting, safety and navigating turns. 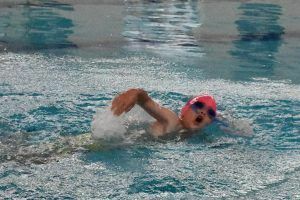 She said that when running in a triathlon it’s important for them to pace themselves and be aware of their breathing and posture. 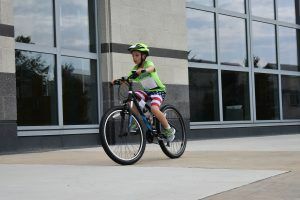 Mulholland also said a big part of their training was practicing the transitions from swimming to biking and biking to running. 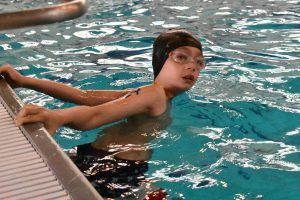 It was hard for them to get used to it at first but after some practice they knew the procedure and understood how to get it done quickly and efficiently. For the majority of the campers it was their first time practicing putting their shoes on for the transition. “They all talk about who’s going to win but they each have their own strengths,” Mulholland said. The campers ranged from fourth to eighth grade so they each bring something to the table in this competition. 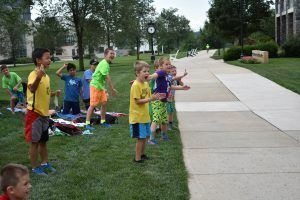 The triathlon started out in the pool and with the song “Eye of the Tiger” playing over the speakers, the campers were ready to go. After two laps in the pool the campers ran outside where their bikes were waiting for them. Outside, the Sports campers were sitting on the green cheering the campers on. 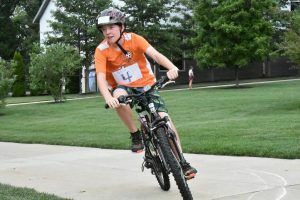 After four laps, the campers dropped off their bikes for the final portion of the triathlon: the run. All the campers pushed themselves very hard and gave the race every ounce of energy they could muster. 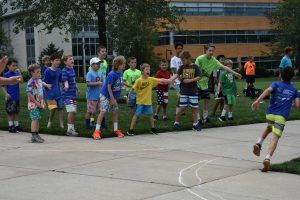 Sports and Day campers lined the green in front of the finish line to push the campers further as they neared the final stretch. 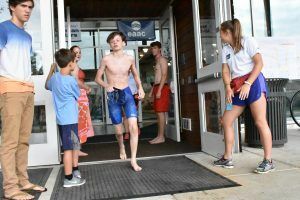 One of the most memorable moments of the race happened toward the end as Jason, one of the Triathlon campers, was nearing the end of the race. 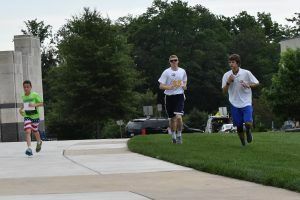 Sports Coaches Chris DiEnno and Alex McCutcheon ran alongside Jason, giving him words of encouragement as he rounded the corner and saw the finish line in sight. 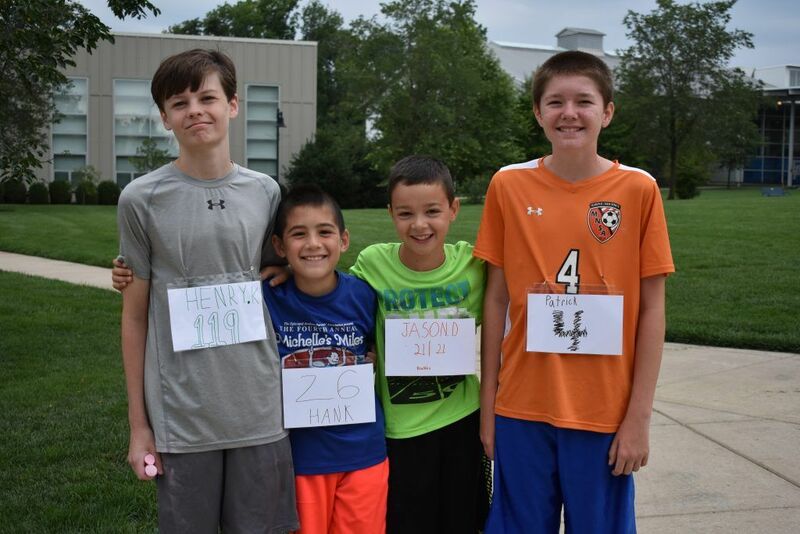 All of the campers worked very hard and completely deserved the medals they received after completing the race! In Minecraft there are so many options of items you can build or expeditions you can go on. The Minecraft world holds all the resources necessary to achieve amazing feats like building a diamond sword or fighting the Ender Dragon.